The Parks and Recreation Department is likely the city department that residents have the most direct public interaction. There are 42 parks in Plantation, including something for those who like golf, tennis, swimming, equestrian activities and even pickleball. I got an update on many facets of our parks last Thursday, when the Parks and Recreation Advisory Board held its meeting. Bond improvements are set to start Aug. 1. Plantation voters in December 2016 approved $17.1 million for parks upgrades as one of three bonds totaling $60 million for the city. First on the schedule are renovations to the building at Pop Travers Field, including improved bathrooms, new paint and flooring improvements. Pine Island Park will add an artificial turf field – that means it won’t have any downtime and can also be a nice place for concerts – and the parking area will be reconfigured. And a new building with two indoor basketball courts is planned at Central Park, on the plat that currently holds three outdoor courts. The existing building will be reconfigured. Summer camp signups are soon. Summer camp runs June 10-Aug. 2, with an extended camp Aug. 5-9 and kids’ day off Aug. 12-13. Forms are available at all sites: Plantation Central Park, Volunteer Park, the Jim Ward Community Center and Plantation Community Center. Plantation resident registration starts April 23. Non-residents can’t get in until April 30. There is a concern about informing residents of sports signups and other activities. Believe me, having three children who went through the PAL system, I know this: Parents need to be thinking a few months in advance of each season, in order to register their children. Advisory board members on Thursday debated ways to better inform parents, but there also is a sentiment that parks and recreation already puts forth quite an effort. There is Plantation.org, social media sites, banners at parks and other avenues the city takes. Meanwhile, PAL leaders have the contact data for children who played a particular sport the year before, and PAL also enthusiastically sends out reminders. There is a 10-year plan. The parks and rec department held a Master Plan Workshop on Feb. 28, asking residents for input on what they’d like to see in our parks. 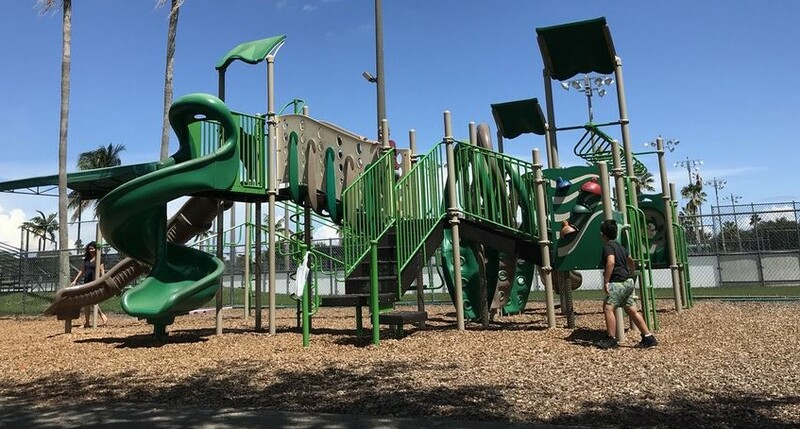 Parks officials acknowledge the process is “a little backward” – considering that voters have already approved bond money. But feedback from residents include a desire for better parks safety, maintenance and programs. There also is a desire for more senior programs; the city currently leans toward the idea of placing senior programs inside our existing parks, rather than creating a specific senior mecca. But that philosophy will be revisited after the bond improvements are complete. They like to communicate. Just Monday morning I received an email of activities. Here’s the link. Our senior population is booming, especially in South Florida. That brings about all kinds of questions, including housing, but last week I learned a little more about a more basic need: Food. 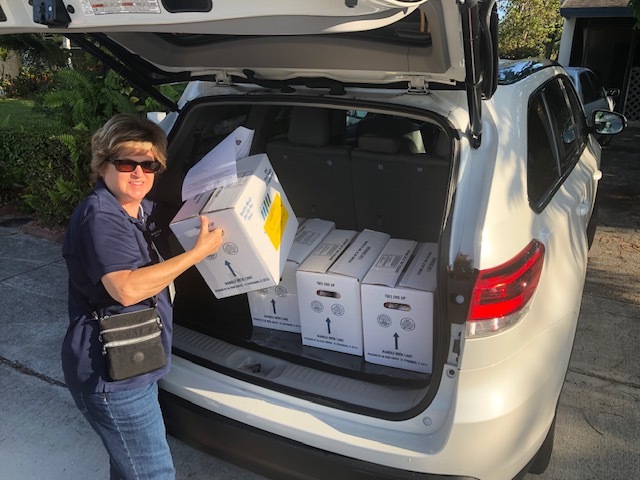 Meals on Wheels South Florida invited me on a ridealong last Tuesday. The organization provides a box of five breakfasts and five lunches each week to 78 Plantation residents. I rode with Karen Reynoldson on her weekly delivery to four homes. Broward, naturally, is among the nation’s largest venues for Meals on Wheels. The organization, based on State Road 7 in Plantation, serves about 1,300 county residents each week. The recipients on our outing were certainly grateful for the food, but just as much, they enjoy the weekly visit from Reynoldson. The Older Americans Act pays for about 38 percent of the program. The rest comes from state or local sources, private and foundation donations and federal block grants. For information on how to volunteer, donate, serve meals or even host a pet food drive, go to MealsOnWheelsSouthFlorida.org. The Education Advisory Board meets at 7 p.m. Monday, April 1 at City Hall. The first meeting, held last month, featured introductions between the board members and a nice turnout of principals who are eager to build a better relationship with the city. I hope that momentum continues. The Planning and Zoning Board meets at 7 p.m. Tuesday at City Hall. I have not seen an agenda yet. Check later at Plantation.org. The deadline is Friday, April 5, to register for the 39th Annual Interfaith Prayer Breakfast, presented by the Plantation Association of Clergy and the Greater Plantation Chamber of Commerce. The actual event is at 9 a.m. Thursday, May 2, at the Jacaranda Country Club. Cost is $30. Email info@PlantationChamber.org.